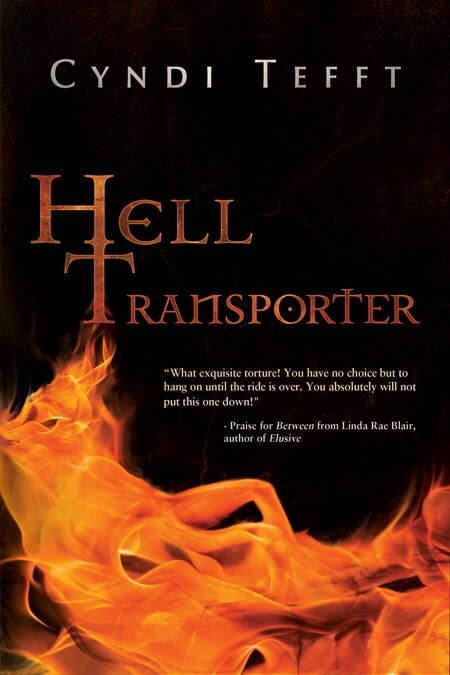 For those of you not yet familiar with Cyndi’s writing, I must say she is on my favorite list! Tell our readers a little about yourself, Cyndi! In addition to writing and reading, I love to sing. Music is my first love and runs in my blood, as my mother was in a band when I was growing up and my father was once a music teacher. One of my dreams is to record in a studio someday. That would be amazing! Here’s a video of me singing at church, for those who care to take a peek! In 2009, I started reading because of Twilight, then swiftly moved on to Outlander and fell in love with Jamie Fraser. I wanted a Scottish Highlander of my own, so I decided to try my hand at writing one. I saw a video interview with Stephenie Meyer where she mentioned being a stay-at-home mom who started writing about a dream she had and I thought, if she can do it, maybe I can, too! The Between series is upper young adult (16+), as it does have some mature content. It’s on the bleeding edge of new adult, as Lindsey has just started college, so it could go either way. But aside from that, the books have elements of time travel, historical fiction, and fantasy. And of course, above all, romance! What’s your process? Are you an organized outliner or a seat of the pantser? Generally, I am more of a pantser than a plotter, but I have started working on outlines more and more. I often have a sweeping idea of a story arc and then just fill in as I go. I am definitely a chronological writer in that I start at the beginning rather than writing scenes independently and gluing them together later. Diana Gabaldon’s Outlander series was the inspiration for my hero, Aiden MacRae, who is an 18th century Scottish Highlander. It was Diana’s books that made me fall in love with Scotland and Scottish history. My favorite YA authors are Gayle Forman, Tammara Webber, and Jeri Smith-Ready. From all around me! Everything I see, hear, read, experience—it all gets thrown into the mental blender when I’m playing with the characters in my head. There aren’t any characters who are based on one person, but there are pieces of my friends and family sprinkled throughout. Best: Receiving gifts in the mail from readers who love the books. Aiden’s Angels (as they are called) have sent me all kinds of goodies, which I keep on my desk as inspiration! Worst: Querying agents and editors prior to self-publishing Between. The rollercoaster of emotions, from exhilarating hope to crushing disappointment was exhausting. We writers all get tons of advice. What’s the best/worst writing advice you ever got. The best I came across was a recommendation for the book “Self-Editing for Fiction Writers” by Renni Browne. 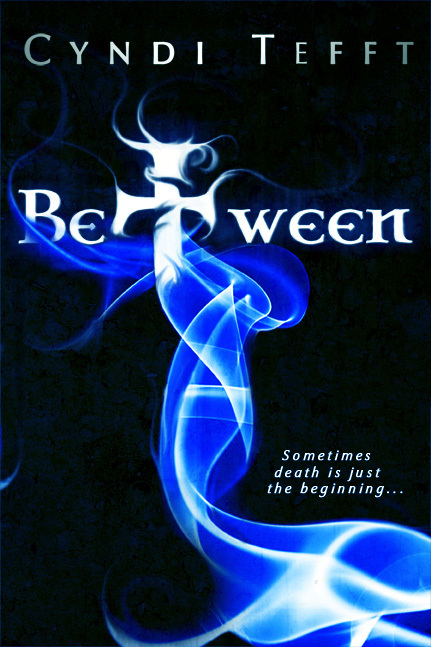 That book taught me to recognize many of the newbie mistakes I made and was incredibly helpful when I started editing (and editing and editing) “Between” prior to publication. I can’t say I’ve gotten any bad writing advice, honestly. 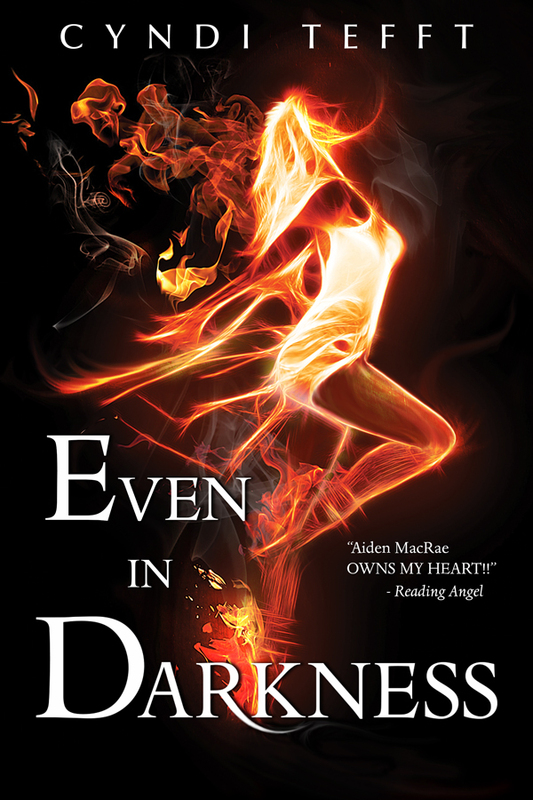 The third book in the Between series, “Even In Darkness”, came out on April 1st! There will be one more book in the Between series. In addition to that, I’m working on an adult contemporary romance and a YA love story. Oh, goodie! Tell us something about yourself that your readers don’t already know. Cyndi, we certainly appreciate the time you took to talk with us today. Best of luck on the new projects! Excuse me, everybody–I have a book to go buy! 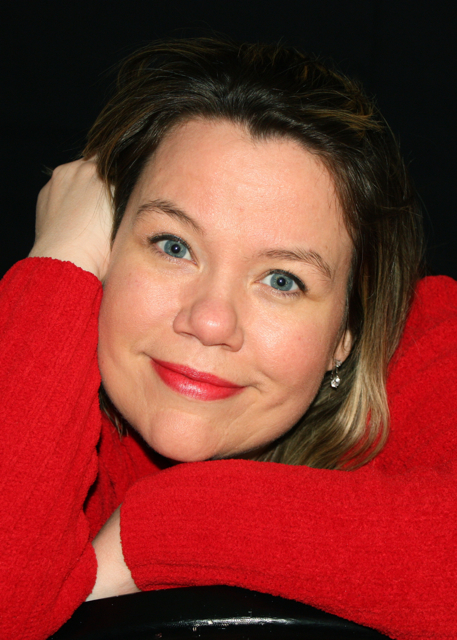 Cyndi, my maiden name is Tefft and I am looking for extended family members. Your name came up on a good search. My father’s family was from St. John/Mt.Clemens Michigan.